In today's world, it is essential that your assets stay secure and your personnel stay safe. Controlling who enters your property is a critical security and management tool. 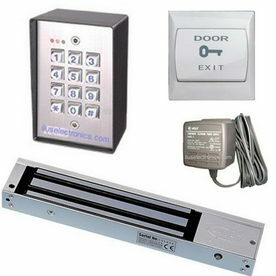 Electronic door and gate access systems are a critical component to your building and site security.There is a lot to consider when deciding which access control system works best for your business, as there are many levels and types of access control. With todays modern access control systems you have the options to control not only who can enter each area but also when, limiting time of day, holidays, after hours or whatever works best with your security. Here at Guard Tight Solutions we specialize in planning, designing, and installing access control systems and electronic door hardware.